Tuesday was Valentine’s Day. Tuesday was also the day I wrote about the announcement that Rachel Lindsay will be the first black Bachelorette. I stressed the importance of seeing black love on screen and how we’re starving for more black leads in romantic comedies. This morning, Duana sent Lainey who sent me the trailer for Everything, Everything starring Amandla Stenberg. Everything, Everything is not a traditional comedy since it’s about a girl with a crippling illness and the trailer made me sob at my desk. Yes, I cry at everything but this trailer is f-cking gut-wrenching. Tell me you didn’t cry too when Bey’s voice drops. This. Movie. I’m already so obsessed. 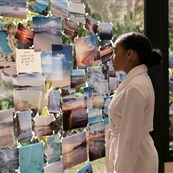 The plot goes like this: Amandla Stenberg plays Maddy, an 18-year-old girl who is allergic to outside or something so she’s confined her to her house with her overbearing mom. She can’t go outside to find love so love finds her in the form of the boy next door, Olly, played by the super cute Nick Robinson. The plot of the sick girl falling for the perfect guy has been done before in A Walk to Remember and The Fault in Our Stars. The premise isn’t groundbreaking but the fact that the girl who gets to fall in love this time is black – that IS. On this week’s episode of Show Your Work, Lainey and Duana discussed the rom-com and how A-List actresses seem to be steering clear of the traditional type of romantic movie. Lainey mentioned that while we’ve seen all the troupes of romance on screen before, the radical reinvention of this genre should come through showcasing different races in the leads. Ali Barthwell at Vulture wrote a wonderful piece driving home this point after The Bachelorette news. She asserts that by reclaiming the romance narrative, black women are finally being allowed to be represented as feminine in a way that is not stereotypical. Celebrating black womanhood in the context of marriage and motherhood might seem reductive to some, but because they’ve so often been denied those roles in pop culture, it’s in fact, revolutionary… Sometimes we deserve a fairy tale, a cotton-candy romance to go with our lemonade. Seeing a black woman as the woman pursued, riding off into the sunset, would do so much to diversify the narratives of black romance. You probably know Amandla Stenberg best as Rue in The Hunger Games. You may also recognize her from her woke AF interviews and social media posts, or from her cameo in Lemonade. She has yet to carry her own breakout film. I love that this is the movie that might propel Amandla into the conversation of young leading actresses. It’s the perfect choice. 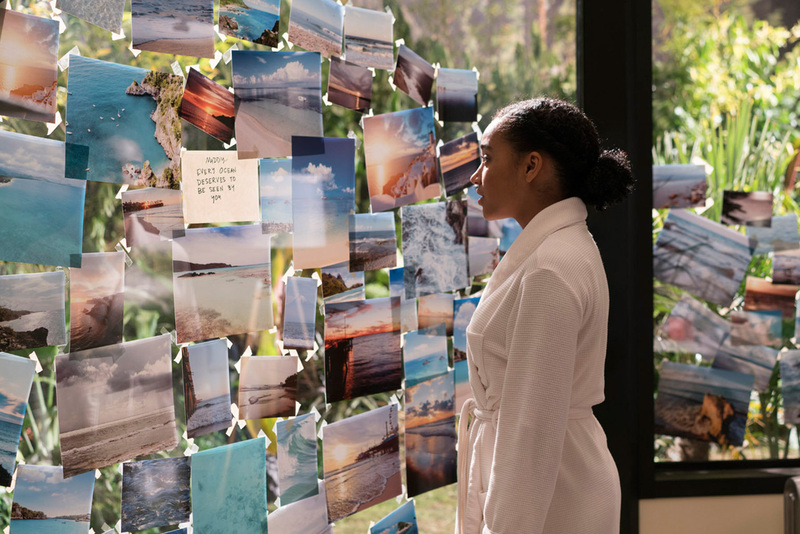 Everything, Everything is based on a YA novel written by Nicola Yoon, a black woman. It’s directed by Stella Meghie, a black director whose name we should get used to hearing. It co-stars the criminally underrated Anika Noni Rose. It’s oozing with black girl magic. Yes, I am going to be in the theatre on opening day with a bunch of teenagers, crying my face off, smiling stupidly at all the cheesy dialogue and crushing inappropriately on Nick Robinson.